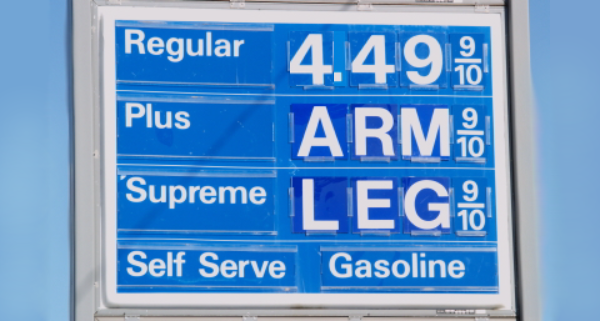 Save Money on Repairs While Gas Costs an Arm and a Leg! Jacinda Howard, reporter for The Federal Way Mirror, wrote an article titled, “Gas prices climb 41 cents/gallon in a month | Washington drivers pay more than most” The article explains that gas prices have climbed 41 cents per gallon in a month. In fact, her article points out that Washington Drivers pay more at the pumps than drivers in almost every other State. “It’s not out of the world that we may hit $4 a gallon this year,” said Jennifer Cook, AAA spokeswoman. One of the article’s gas saving tips – Keep your vehicle maintained. an Arm and a Leg too! You may not have control of your costs at the pumps, but you can control your auto repair costs! 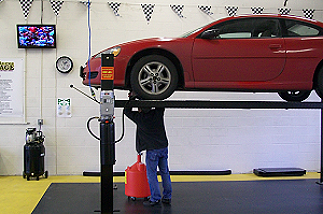 Car owners can save money on labor costs by fixing and maintaining your own vehicle yourself. Do-it-yourself mechanics can rent a bay at Self Serve Garage and repair their own vehicle at 50-70% what it would cost at a full-service or dealer location. Keeping your vehicle maintained will help save money at the pumps! We’re introducing “Gas Relief” Prices! We can’t control the prices at the pumps, but we can help you save money by fixing your car yourself! We already offer a place to service your own vehicle, FREE repair seminars, and experienced trained mechanics to answer questions and assist with minor and major repairs. We are now dropping our prices making it easier to do the regular scheduled maintenance needed for better fuel efficiency. Rent a Bay at Self Serve Garage Today! You’ll smile knowing you can save money by fixing your own car! We will continue with our “Gas Relief” prices until we feel the price of fuel returns to a manageable rate.